As a provider of CHAS certification consultancy, we receive lots of emails asking questions about the service. If you’d like to know more about CHAS, we’ve picked up some of the more common questions – so you may be able to find the answers you need quickly and efficiently. Let’s just refresh our memory of what CHAS is. If you work in the construction industry, you will probably be aware of Contractors Health & safety Assessment Scheme. It is a health and safety accreditation scheme; specifically for the construction industry and it can also act as a type of pre-qualification during the tender process too. Can my company be CHAS accredited? This accreditation scheme is not just for construction companies. It is an accreditation scheme that assesses health and safety for all types of supplier, from care service to demolition contracts, designers and consultants. The aim of the scheme is to save both time and resources, as well as avoiding unnecessary duplication during the competency assessment process of tendering. Is CHAS important when tendering for work? It can be, as most buyers will require CHAS to be gained by a tendering business. It is an accreditation that is seen often on the public procurement process by councils, schools and other sector bodies. Why is CHAS important for my business? As well as being a requirement for some tendering opportunities, having this accreditation shows buyers and suppliers of your service that your business is compliant with health and safety processes and procedures. For some industries, such as construction, safety is paramount. 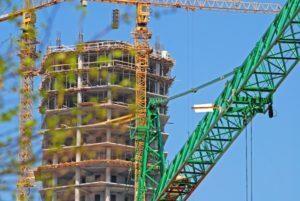 The rate of illness and accidents in the UK construction industry has fallen dramatically over the last 20 years but in 2014-15, 35 construction workers lost their lives at work. The HSE say that the majority of these accidents could have been avoided if the health and safety had been more vigorous. How long does the CHAS certification last? There are different ‘levels’ of CHAS certification, so it is important you get advice on the right one. Also, the accreditation needs to be updated to take into account changes in your industry or sector, as well as health and safety. As a contractor, you won’t need to go through the whole accreditation process again when it comes to renewal. You will need to show that you are still compliant however. Is CHAS a popular and well-known scheme? It is, and the number of suppliers and buyers that are part of the scheme keeps on growing. Latest figures show that there are 62,000 suppliers on the register and is one of the fastest growing health and safety accreditation schemes in the UK. Will a CHAS assessor give health and safety advice? No, assessors cannot act in this way but a consultancy company advising you on health and safety and the CHAS process will do. Is it an onerous task becoming CHAS accredited? Not with the help and advice of a specialist and reputable consultancy. Accreditation shows you are committed to health and safety on and around work sites, as well as prepared to commit to annual health and safety assessments. A good consultant works with you to help you understand the benefits of CHAS and how you can use these to not only work safer, but also grow your business.